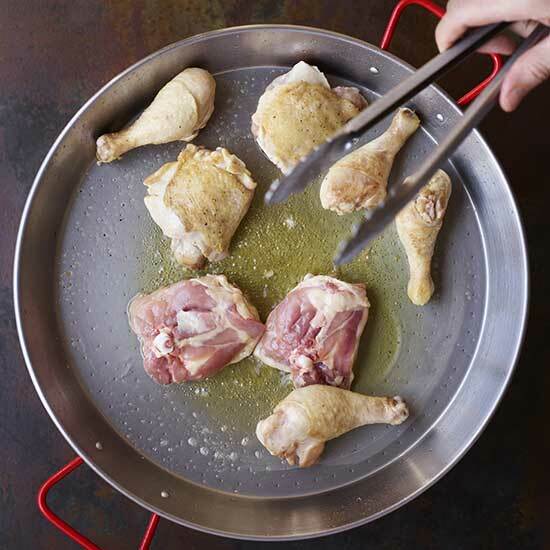 Rich stock, a wide pan and a grill are key to creating an authentic version of this step-by-step iconic Spanish dish. Heat olive oil until shimmering. Season the chicken with salt and pepper and cook until browned. Set the chicken aside. 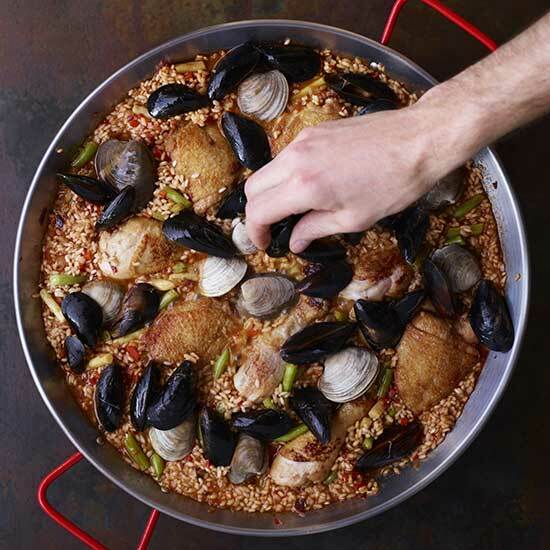 Add the hot lobster-infused chicken stock to the paella pan, and scrape up the browned bits on the bottom. 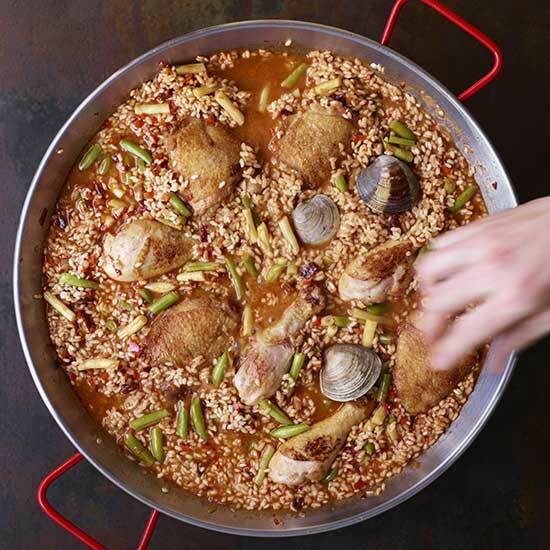 Add the sofrito to the paella pan, whisking to break it up and distribute evenly throughout the lobster-infused chicken stock. 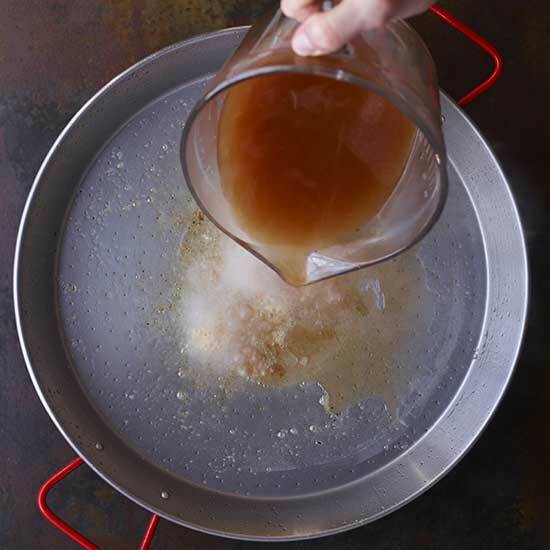 Bring the stock to a rolling boil. 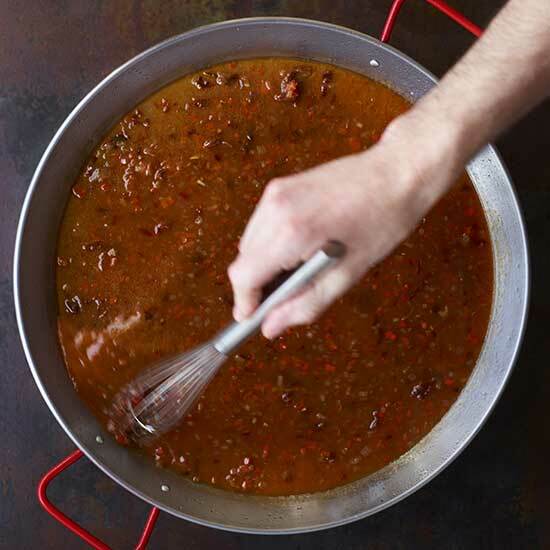 Sprinkle in the rice and beans, gently stirring and shaking the pan to distribute them evenly. Return the stock to a vigorous boil. 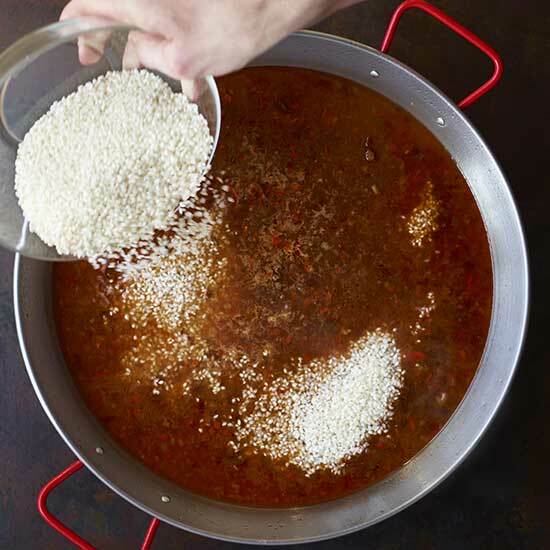 Stirring as little as possible, allow the boiling stock to agitate the rice. 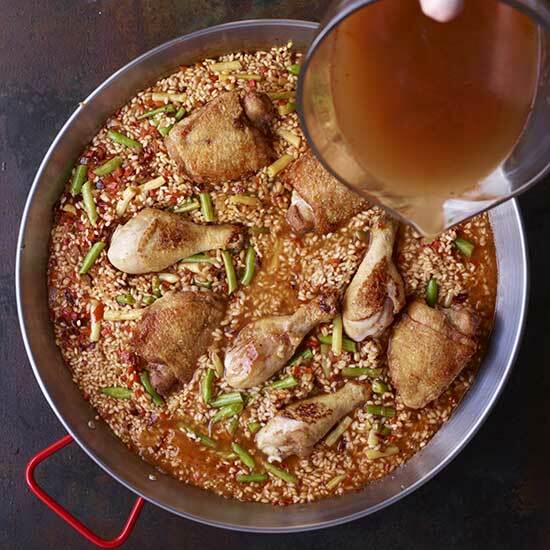 Bury the seared chicken pieces in the rice and simmer, waiting until the stock is nearly absorbed before adding more stock. 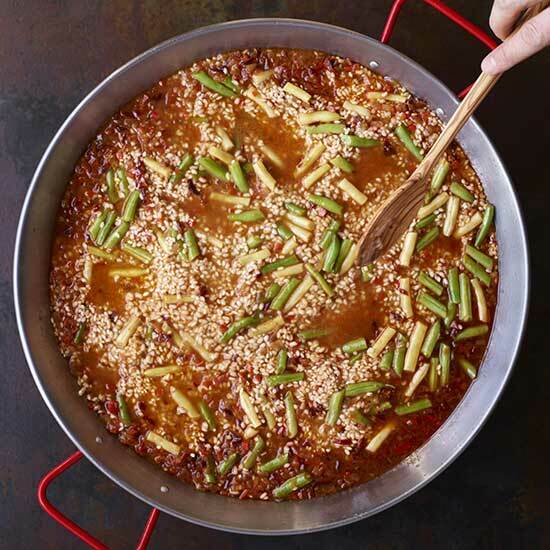 Continue adding small amounts of hot stock as the rice absorbs it. 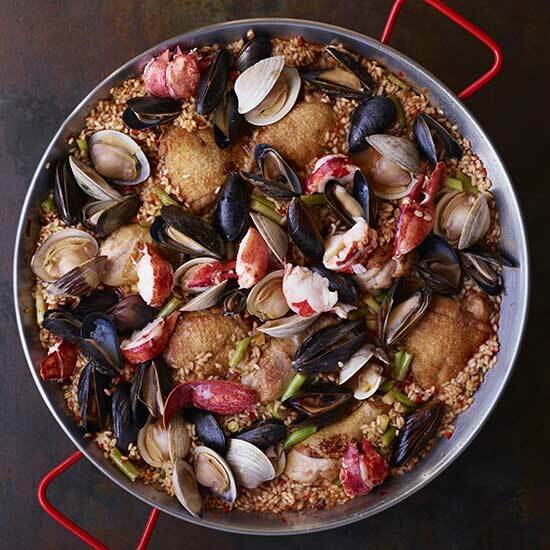 Arrange the littleneck clams all over the rice. Add the mussels to the pan, nestling them in the rice. Cover and grill until the clams and mussels start to open. Add the lobster, cover and cook until the clams and mussels are wide open and the lobster is warmed through, about 3 minutes.